Bored of the same lunch over and over again? Warburtons has created the entertaining Krazy Kitchen gameshow to liven up your lunchtime. The hilarious 30 second videos – perhaps the first gameshow on Facebook – pits two families against each to create a delicious and inspiring lunch in the Warburtons Krazy Kitchen. Then the two families – the McDermotts and the Griffiths – battle it out, mum versus mum, dad versus dad and child versus child in three hilarious videos to make the best sandwich whilst being a distracted by unexpected ‘kraziness’. The first three videos can found at www.facebook.com/warburtons. This Friday (23rd August) sees the release of the final installment in the Krazy Kitchen drama. Feeling inspired, I've recreated a Krazy Kitchen Style Recipe using the Warburtons Sandwhich thins with great fillings! I had my two helpers - Blake (age 4) and Meg (age 2) in true Krazy Kitchen fashion, we laid out various fillings and had a free for all to make our own sandwiches! 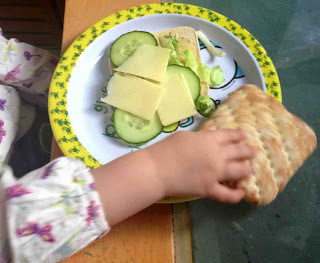 Meg just copied me with a veggie lunch- we lightly toasted the sandwich thins and added crispy salad leaves, cucumber circles, avocado, cheese and a twist of lime! Blake being ... "The worlds most fussiest and random eater" ... filled his sandwich thins with crisps! 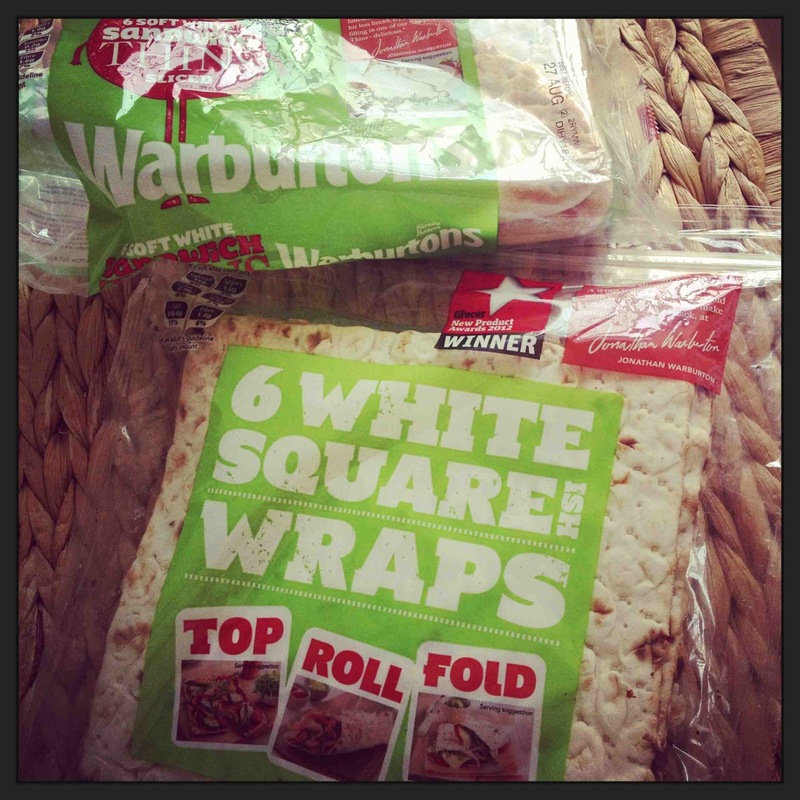 When hubby got home, he was treated to a Warburtons wrap (these square wraps are so easy to use!) filled with warmed sliced chicken breast, mayo and crispy salad leaves. I'm also going to create a veggie tex mex mayhem style wrap using some chicken style pieces - yum! 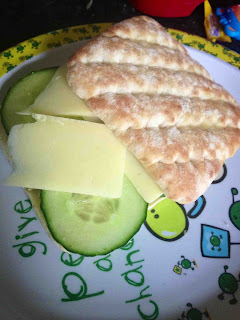 I'm loving the inspiration for packed lunches and products such as Warburtons wraps and thins as alternatives to sliced bread, I'm always trying to find new things for my fussy eater to try and there's so much lunch choices and ideas around! I'm relieved I wasn't one of those poor mums in the Krazy kitchen trying to prepare food for my family with all that wobbling surfaces and chicken running! Phew! The families did a great job and it must have been so much fun to have taken part! For even more lunch entertainment and inspiration, Warburtons have also provided exclusive footage of Masterchef winner, Lisa Faulkner, creating one of the recipes – in the Sixty Second Sandwich Challenge. Check out the Warburton's facebook page for the Krazy Kitchen videos and other lunch recipe ideas www.facebook.com/warburtons. Liven up your lunch today!